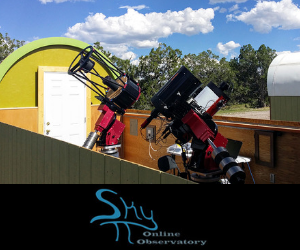 Here is an image taken from the remote robotic telescope specializing in astronomy education, T-14, the Takahashi FSQ Fluorite Petzval Apochromat Astrograph provided by iTelescope.net at their New Mexico Skies location in Mayhill, NM. 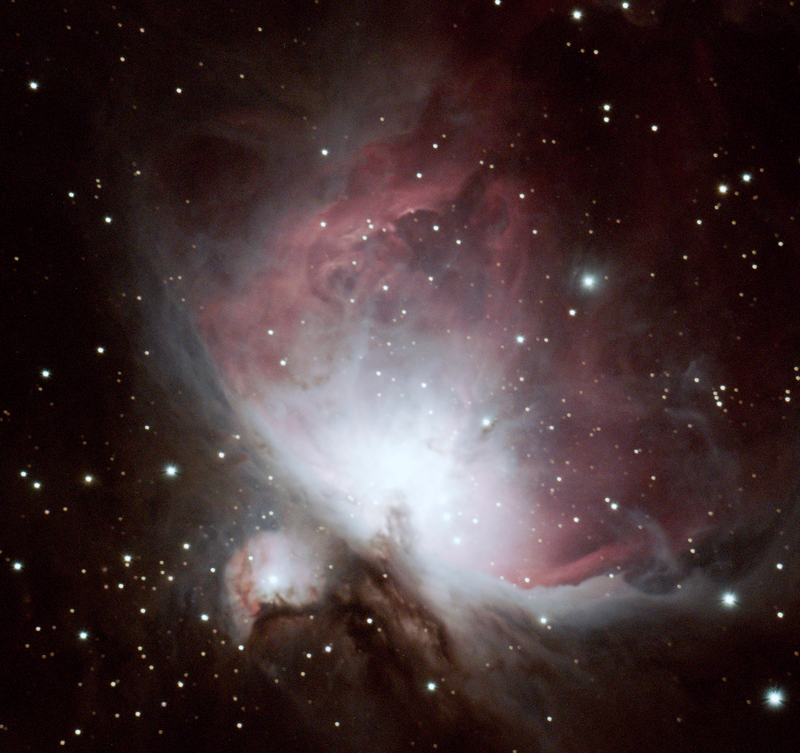 The telescope has an aperture of 106mm (0.1 meters), a Focal Length of 530mm (.53 meter) and an F/Ratio of f5.0. The primary target object was M96, a spiral galaxy in the constellation of Leo. However, to our surprise (due to the telescopes wide-field), we were able to capture more than the one galaxy. 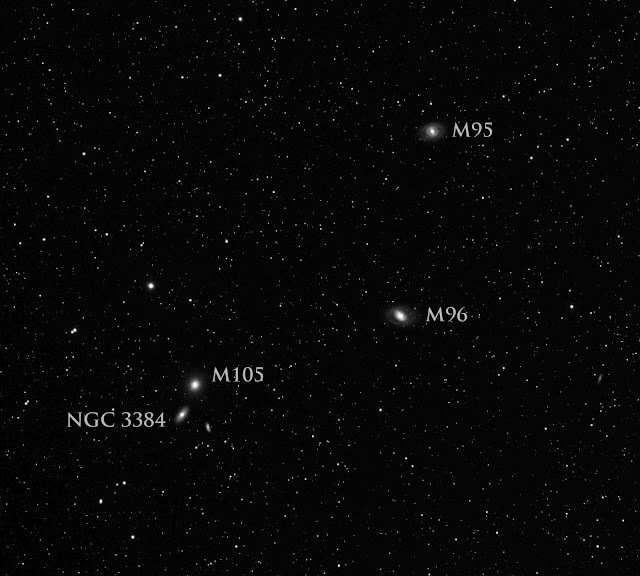 The image field also contained spiral galaxy, M95, almost a mirror image of M96. 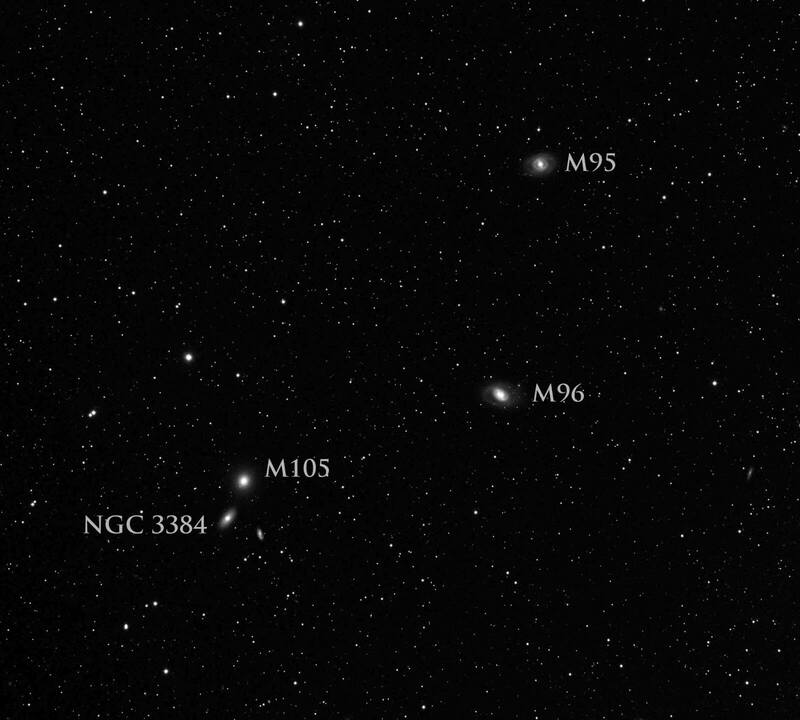 Accompanied by M95 and M96 are spiral galaxies M105 and NGC 3384. I was able to identify each one from matching the orientation of the image to the star chart in "Sky & Telescopes Pocket Sky Atlas" that I downloaded for my Kindle app on my iPad. By clicking on the image, you will also discover a few other galaxies that are not listed in the Sky Atlas. How many can you see?